There is nothing like sitting down in an Indian restaurant as the chef works away on a commercial 4 burner gas oven (probably similar to the ones you can find at https://www.247cateringsupplies.co.uk/catering-appliances/commercial-ovens-and-ranges/commercial-ranges/lincat-slr6-silverlink-600-4-burner-gas-range-oven ) mixing together all of the aromatic herbs and spices that we have come to love, to bring you a taste sensation. We are now truly spoilt for choice when it comes to the selections found on an Indian menu. Our first taste of curry was with Coronation Chicken. This was introduced during the coronation of Queen Victoria and it was essentially a watered-down Chicken Korma. It contained sultanas and a mild curry powder was added to the mayonnaise. It wasn’t until a solider from the British Empire thought it might be a good idea to open up a restaurant and show the rest of the United Kingdom and its population what his own country had to offer in terms of cuisine. 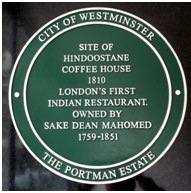 So, nearly two hundred years ago Sake Dean Mohamed opened up the Hindoostane Coffee House in the very well to do Regency London area of Portman Square. One can only imagine what the Victorian Londoners made of the scents of cumin and coriander coming out of the restaurant. Nowadays it is an aroma that seems to have our taste buds tingly. One thing they definitely did not serve at that time was Chicken Tikka Masala as this was invented in Glasgow to appeal to the Britons who were unsure about curry in the first place. The huge growth in Curry houses started after the second world war after lots of Bangladeshi residents came to Britain to help rebuild it after the blitz. During this time the amount of curry houses began to increase. It is thought that there are now at least 10 thousand Indian restaurants across the United Kingdom with each offering a variety of Nepalese, Sri Lankan, Bangladeshi and many other cultural recipes. It has been noted that there are more curry chefs in the UK than there are in India!